Let our window fashion experts at A Shade Better help choose the look that's right for you. Natural light plays an important role in home décor because it changes not only the look of a room, but also the mood and how you feel when in it. If you're looking for quality, style, and value, you'll find it all at our Hunter Douglas Gallery Showroom. Whether it is blinds, shades, or shutters - rest assured, A Shade Better can meet your needs. We offer Hunter Douglas and other custom window treatments, which provide superior quality, innovation, and style. The selection we have available can help transform any room, home, or business - regardless of size or requirement. A Shade Better is North Carolina's first Hunter Douglas Gallery Dealer. Let our decades of experience work for you by beautifully transforming your home into a place you love. Our Hunter Douglas trained staff have the knowledge to get it done right the first time. The staff at A Shade Better is professional, courteous, and knowledgeable. We offer personal service and a promise to deliver a level of satisfaction second to none. Hunter Douglas has a ﻿limited lifetime warranty﻿ on all their products. A Shade Better is a certified Hunter Douglas Dealer Service Center, which means we can fix just about anything. If we can't fix it, we will send it back to Hunter Douglas for you (shipping charges may apply). 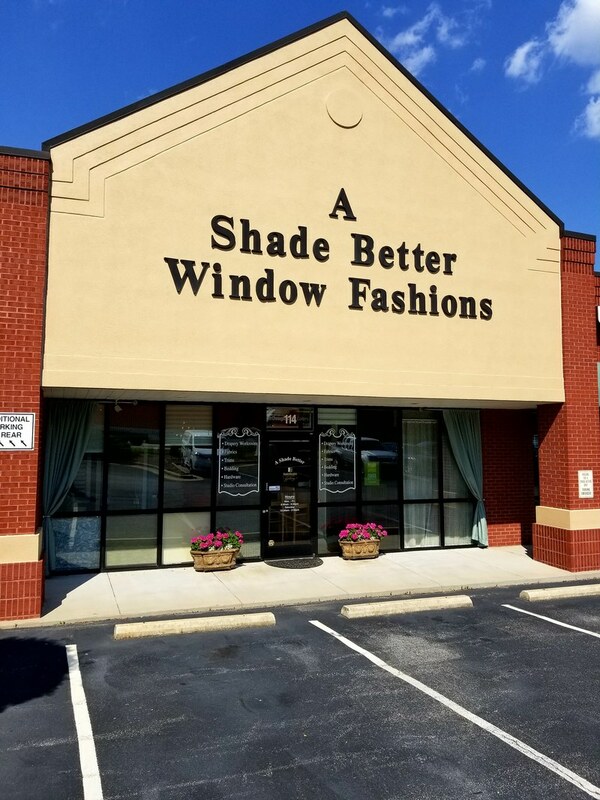 A Shade Better is a Hunter Douglas Gallery dealer serving Greensboro, Summerfield, Oak Ridge, High Point, Jamestown, Kernersville, Browns Summit, Burlington, Winston-Salem, Colfax and other surrounding areas. Call us today (336) 282-8880 to receive a FREE In-Home estimate provided by one of our experts. ﻿Call Today for a FREE Estimate!